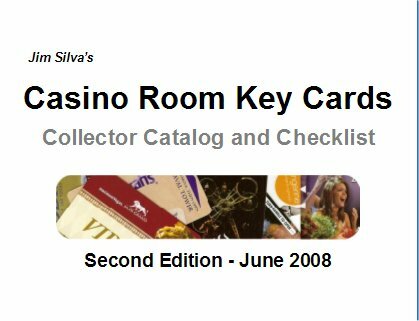 The second edition of the print version of my room key catalog is now available. Below are sample pages to give you an idea of what the different versions are like. The checklist catalog is a traditional printed version. 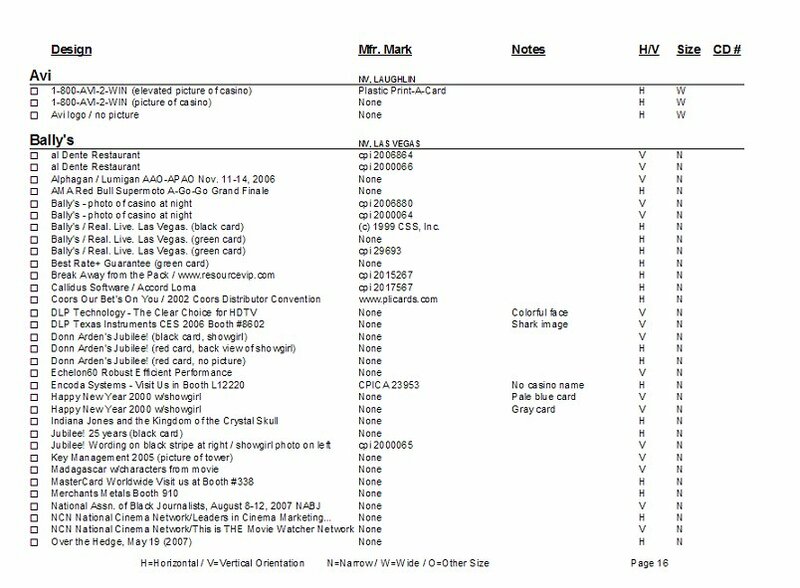 A sample page appears below. The book is designed to be easy to write on and keep track of a collection. This catalog will be updated periodically to reflect new releases and information about older keys obtained since the previous edition. The majority of keys are from Nevada with cards from many other locations as well. Here's a sample page from the full-size 8 1/2" x 11" print version of the catalog. It is designed to be used as a checklist and to make notes. This is a working book and you can write all over it. The second edition of the print version is available for downloading in PDF format. being made available to you in this format for your own personal use. You may not make copies of this work available to any other parties without my prior permission. amount you wish) by credit card through PayPal below by clicking the "Support" button below. Payments can also be mailed to the address at the bottom of this page. please simply give them this website address (www.roomkeyguide.com) and not the direct location of the file. Contact Jim for more information or with any suggestions or room key "finds". Copyright © 2008-2010 James S. Silva.